Good morning ... One health care fire dies out, another one flares up. The Trump administration continues to pull back from ACA enrollment outreach. All HHS regional directors were told not to participate in state-based outreach events, according to a BuzzFeed report. 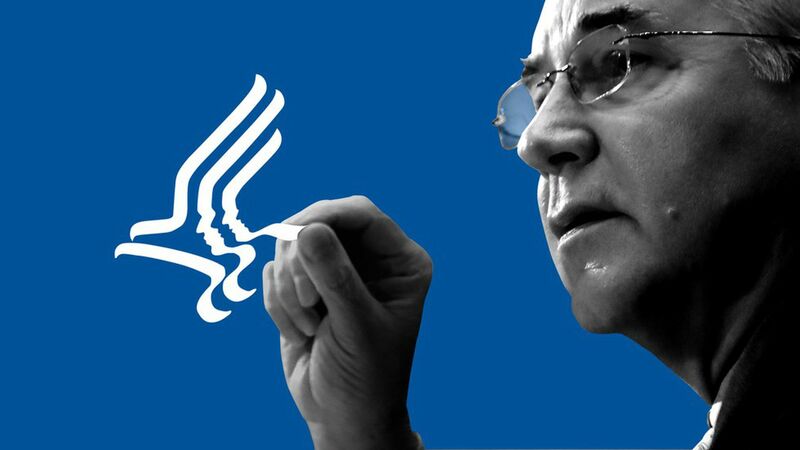 The department emailed state officials Monday to let them know HHS would "not be supporting marketplace efforts by being out in the regions this year." Vox, which first reported that HHS would be withdrawing from enrollment events in Mississippi, notes that the groups promoting enrollment in that state had been putting together their latest efforts for months, ahead of the next open-enrollment period, and the groups coordinating the effort didn't even receive any federal funding to do so. Why it matters: The Trump administration has already made clear it wouldn't take any initiative to help get people signed up. But it seems to be redefining the bare minimum. This won't save much money, or relax any strain on HHS resources. It is, rather, a clear signal that HHS is not interested in getting people to sign up for coverage through the ACA. Let’s do this again soon! Sorry to give you whiplash, but it seems like the health care effort is heading in yet another direction. Although a lot of people were confused when President Trump said yesterday that health care will come back again in January or February, that's actually a very real option being floated around by GOP leaders on the Hill, aides say. An aide for Sen. Mike Lee called it a "probably leading possibility," although leadership aides just characterized it as an option. How it would work: There's a "pretty strong trend" against doing tax and health care at the same time, as was floated by some members a few days ago, one senior GOP aide told my colleague Caitlin Owens. Many Republicans realize this could seriously threaten the tax plan. But they might take a crack at health care as soon as the tax effort is finished. The tax rewrite is supposed to wrap up by the end of this year. If that goes according to plan, Congress could indeed be doing health care at the beginning of 2018, like Trump said. "We're going to do it in January or February… But very importantly...during this period of a couple of months, I'm also going to meet with Democrats, and I will see if I can get a health care plan that's even better." "I am considering an executive order on associations, and that will take care of a tremendous number of people with regard to health care. And I'll probably be signing a very major executive order where people can go out, cross state lines, do lots of things, and buy their own health care." Association health plans — an idea championed by Sen. Rand Paul, who has also been touting this forthcoming executive order — are controversial. Like any proposal that involves some form of cross-state purchasing, they would undermine each state's prerogative to regulate its own insurance market. For that reason, they've been opposed in the past by governors, state insurance commissioners and state attorneys general, as well as many health care organizations. It's also an awfully big change to make via executive order — one that might do a better job paving the way for lawsuits than for bipartisanship. Corporate America is still doing a poor job disclosing its contributions to super PACs, dark money groups, and political campaigns, but health care companies appear to be marginally more transparent than other industries. New report: That's based on a findings from the nonpartisan Center for Political Accountability, which ranks and scores publicly traded companies based on how well they shine a light on their own political contributions and whether they prohibit certain kinds of election-related spending. Health care companies have the second-highest score on the CPA's index: 53.2 out of 100. What we're watching today: Price appears at the National Press Club to discuss flu prevention (more information here). What we're watching this week: Funding for the Children's Health Insurance Program expires over the weekend, as do a handful of Medicare-related policies.